But they only sell to rfd’s smart arse! So why would i ring jacksons then smart arse? Actually i do. You know i’m putting a rifle together because i bought the butstock from you. 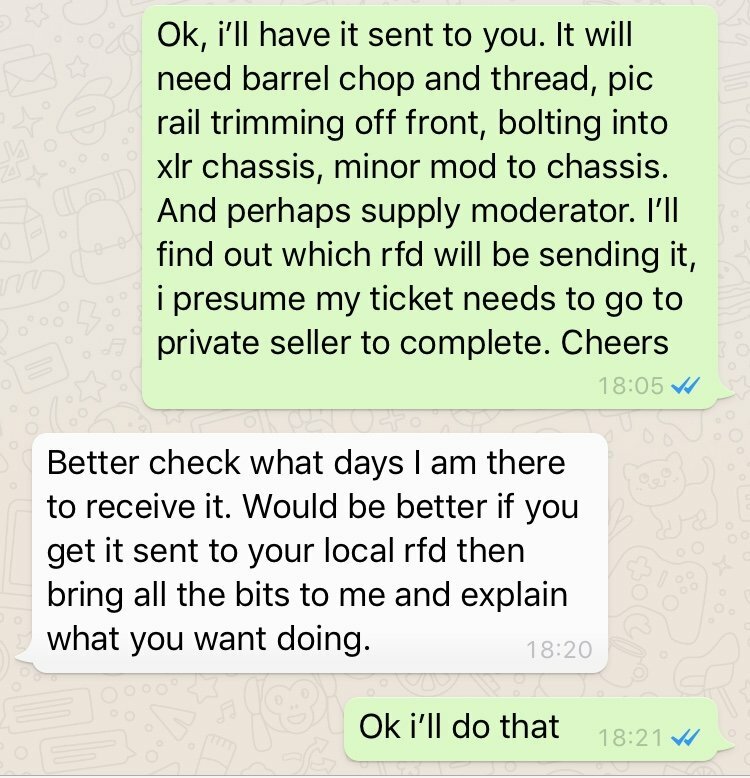 The barreled action is in transit and it will be going to my trusted rifle builder when it arrives to be chopped and put together. I’ve already primed him that i might want a new one but i was hoping to keep costs down and find a s/h one. smart arse. I’m so glad i gave you my business. You were quite pleasant while you were taking my money. I dont need another one thanks. Just got rid of the last one yesterday. Have you found a buyer for your lathe yet-i’ve been looking for one for a while. I’m sure you’ll find something. Apparently making up “memes” and posting them on internet forums can be quite rewarding. Sounds like a plan, as long as the Commons aren't required to vote it through, of course! Fancy becoming the Prime Minister Bradders? You would last longer than her! so anyway, back to the thread... jetz cqb or compact wanted. S/h rather than new. Want to run a sweepstake to see who lasts the longest?